The Hungarian government has dug out a controversial photo used by Britain’s anti-immigrant UK Independence Party, and reused it to campaign for it own anti-immigration policy. 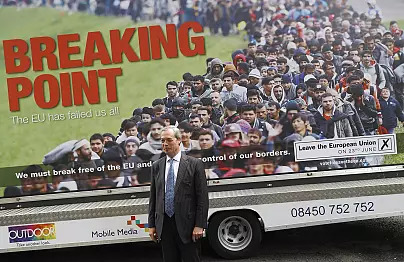 UKIP’s ‘Breaking Point’ poster was released shortly before the Brexit referendum calling on voters to leave the EU over its immigration policy. It drew widespread condemnation from politicians and was the subject of complaints to the police, saying it was inciting hatred. The poster featured the photo showing a mass of non-white men walking down a road and with the slogan “Breaking point: the EU has failed us all” printed across it. The photo was shot by Getty photographer Jeff Mitchell who was documenting migrants crossing the Croatia-Slovenia border in 2015, at the height of the migrant crisis. Mitchell told the Guardian it was “unfortunate” that his image was used in UKIPs anti-immigration campaign. 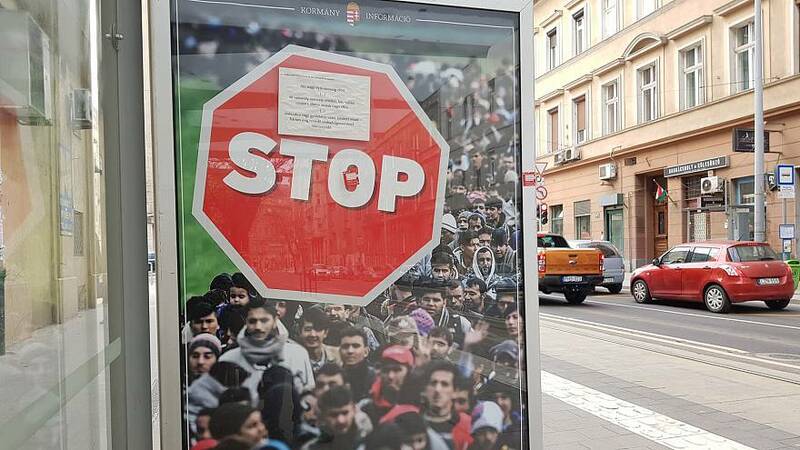 In the Hungarian poster published on Facebook on Monday, a stop sign is printed onto the image. The post said, “The government's information campaign on the migration starts into its new phase. The government wants to highlight the fact that the UN's migration guidelines would allow more immigration. We think that immigration poses a serious risk, therefore it must be stopped. The advertisements in this topic will run until the 15h of April." Both posters manage to obscure a white man who is in the picture and Hungary also cropped out the only woman in the picture. “Women, and girls would no longer be safe and our cultural identity will weaken and slowly evaporate,” he said. Under Hungarian criminal law, hate speech is punishable with up to three years in prison, when it attacks people for their national, ethnic, racial, or religious identity. In practice, hate speech is almost exclusively punished by judges when it is proven to have led to an act of violence. Since 2000, several attempts to introduce stricter regulation failed because of political factors or because they were deemed unconstitutional on the basis of the right to free speech, said Euronews' Hungary correspondent. In an email, the Hungarian government told Euronews that its communication agencies use photographs in adverts that are in accordance with regulations.